On March 25, 1865, 150 years ago today, John B. Gordon’s Confederate Second Corps, Army of Northern Virginia, launched a desperate pre-dawn assault against Fort Stedman, just east of Petersburg, Virginia. They were opposed by Union soldiers of Wilcox’s, and later also Hartranft’s Ninth Corps divisions from the Army of the Potomac. It would be the last large scale offensive action for the famed Army of Northern in the entire Civil War. 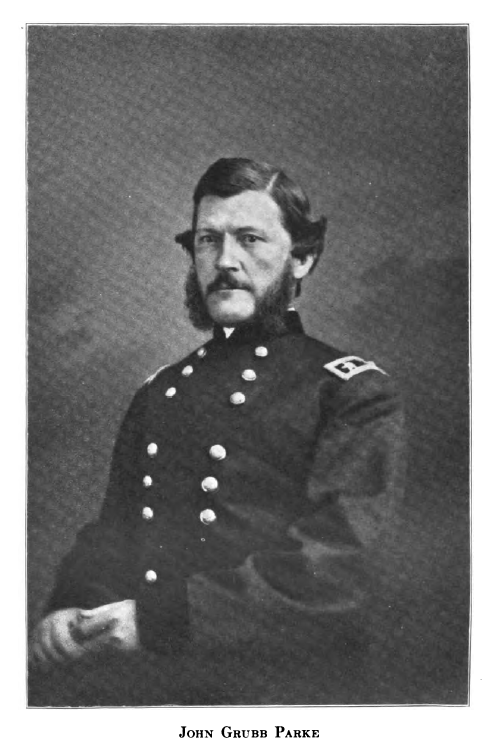 John B. Gordon, commander of the Second Corps, Army of Northern Virginia, launched the last offensive of that famous fighting force at Fort Stedman, on March 25, 1865. The plan, as designed by John B. Gordon and Robert E. Lee in February-March 1865, called for a signal shot to be fired near 4 am. Fifty picked axe men would lead, chopping down the obstructions in front of the Federal works. Three columns would target Fort Stedman and Batteries 10 and 11, the supporting works to Stedman’s north and south, respectively. At the heads of each column were an officer and 100 men of the highly skilled sharpshooter battalions, picked men who excelled at the skirmish line war. These sharpshooters would move around the front line Federal forts and, led by picked guides who knew the area, aim for what Gordon thought were three secondary Northern works located just to the rear. The sharpshooters would enter the works from the rear before the Yankees knew what hit them. After taking all of these works prior to dawn, Gordon’s forces were to then move to open the breach further north and south. At that point, Confederate cavalry could ride through, cutting telegraph lines and pontoon bridges which connected this portion of the front to Grant’s headquarters and nerve center at City Point, Virginia. That was the plan, but things don’t usually go according to plan in a military action. The Battle of Fort Stedman was no exception. Genl: I have received yours of 2:30 P.M. and telegraphed for Pickett’s Division, but I do not think it will reach here in time. Still we will try. If you need more troops one or both of Heth’s brigades can be called to Colquitt’s Salient and Wilcox’s to the Baxter road. Dispose of the troops as needed. I pray that a merciful God may grant us success and deliver us from our enemies. P. S. The Cavalry is ordered to report to you at Halifax road and Norfolk R.R. Iron Bridge at 3 A.M. tomorrow. W. F. Lee to be in vicinity of Monk’s corner Road at 6 A.M.
Lee did try, as promised. A flurry of telegraphic exchanges occurred that afternoon as Longstreet and Lee tried to coordinate Pickett’s move by rail from Richmond to Petersburg. Three of Pickett’s four brigades were en route, but arrived too late to take part in the assault. Opposing the Confederates on this area of the lines were men of McLaughlen’s Brigade (3/1/IX/AotP). In fact, Willcox’s First Division was stationed from the Appomattox River to the north all the way to Fort Meikel to the southwest. Potter’s Second Division took up the defense of the fortifications at that latter point. They would not play a role in this fight. 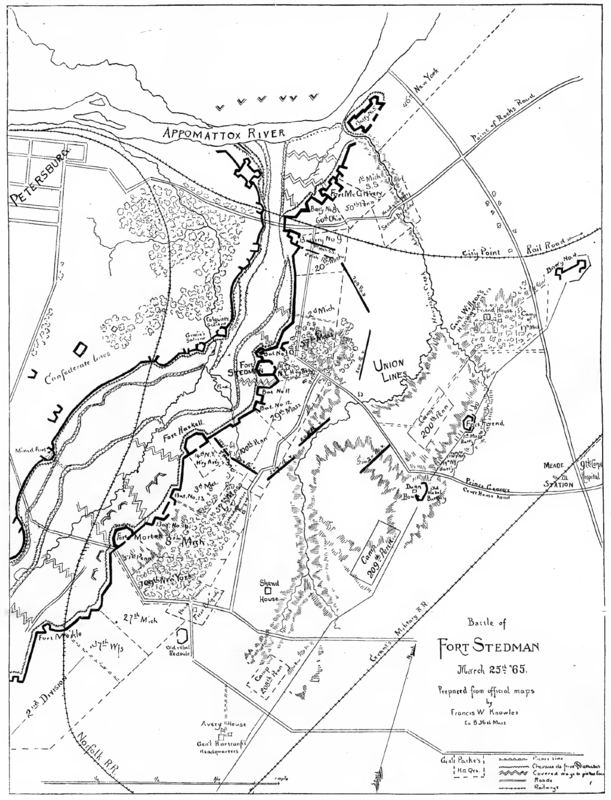 However, Hartranft’s Third Division, Ninth Corps, composed of six “high number regiments” hailing from Pennsylvania, were camped to the rear of Stedman. The Federals knew the fort’s close proximity to Confederate lines made it a likely target in the event of a Confederate assault, and they had prepared accordingly. These rookies were positioned in such a way to provide support in case Stedman fell. In addition to these large new regiments, the Federals had created two artillery positions on the old Confederate Dimmock line to the east. Portions of this line had been taken in the June 15-18, 1864 assaults at the Second Battle of Petersburg. By 1865, most of this line had been flattened, but these two redoubts provided additional coverage behind Stedman, just in case. And on March 25, 1865, theses “just in case” artillery positions proved useful. My troops stood in close column, ready for the hazardous rush upon Fort Stedman. While the fraternal dialogue in reference to drawing rations from the cornfield was progressing between the Union picket and the resourceful private at my side, the last of the obstructions in my front were removed, and I ordered the private to fire the signal for the assault. He pointed his rifle upward, with his finger on the trigger, but hesitated. His conscience seemed to get hold of him. He was going into the fearful charge, and he evidently did not feel disposed to go into eternity with the lie on his lips, although it might be a permissible war lie, by which he had thrown the Union picket off his guard. He evidently felt that it was hardly fair to take advantage of the generosity and soldierly sympathy of his foe, who had so magnanimously assured him that he would not be shot while drawing his rations from the little field of corn. His hesitation surprised me, and I again ordered: “Fire your gun, sir.” He at once called to his kindhearted foe and said: “Hello, Yank! Wake up; we are going to shell the woods. Look out; we are coming.” And with this effort to satisfy his conscience and even up accounts with the Yankee picket, he fired the shot and rushed forward in the darkness. The enemy attacked my front this morning at about 4.30, with three divisions, under command of General Gordon. By a sudden rush they seized the line held by the Third Brigade, First Division, at the foot of the hill to the right of Fort Stedman, wheeled, and overpowering the garrison, took possession of the fort. They established themselves on the hill, turning our guns upon us. Gordon’s initial result was a resounding success. Stedman and Batteries 10 and 11 were captured in the initial rush. Battery 12 to the south fell soon thereafter. But things also began to fall apart very quickly. Battery 9 made a determined stand, and Fort Haskell to the south proved unassailable. These locations would be the “shoulders” of Gordon’s breach, about 1,000 yards long at its widest that morning. In addition, Gordon’s plan had a serious flaw. There were no set of three forts immediately behind Stedman. The three hundred picked sharpshooters milled about in the darkness trying to find these nonexistent earthworks, wasting valuable time. Lastly, Gordon did not account for Hartranft’s Division,with over 4,000 men in the area, or the two forts on the old Confederate Dimmock Line. Union Brigade commander McLaughlen, driven from Stedman in the pre-dawn darkness, organized an early small counterattack. Though he was captured, this fight temporarily discomfited the Rebel attackers and gave Hartranft and others time to organize larger assaults. Ninth Corps artillery from Fort Haskell, Battery 9, and other works pummeled the Confederates as the sun began to rise. It soon became clear to Lee and Gordon that the assault had failed, even before Hartranft’s massive counterattack. Fort Stedman, shown here in a painting by Sidney King, was quickly recaptured by Hatranft’s Division, Ninth Corps Army of the Potomac, after initial Confederate success. The guns from the forts plowed the ground, and the Federals charged in countless numbers in front. We held on until they were on the works, when they drove us out, killing and capturing the men by the hundreds. Lieutenant Colonel [James T.] Davis, of the 49th, was among the killed. At last the order came to fall back. The few of us that were left started back in that terrible retreat across the field under the fire of every gun that could be brought to bear on us. The few who reached the works fell over inside and lay there panting for breath… Our army in that battle had lost three thousand men who could never be replaced, and the lines were still just as they were that morning…We marched back through Petersburg for the last time the old regiment not much larger than a company. Our hearts were sad. We knew the end was near, the end of our hopes, perhaps our lives. We were at the last ditch. It has been a lucky day, for us; and the 9th Corps, after patient waiting for eight months, have played the game of the “Mine” against their antagonists. The official despatches will give you the main facts very well, but I can add some particulars. About daylight, the enemy having massed three divisions and a part of a fourth, made a sudden rush and carried Fort Stedman and about half a mile of line commanded by it. The garrisons of the forts on either side stood firm, however, and repelled a severe attack with much injury to the enemy. Meantime, General Parke had ordered that the works should be retaken, if it cost every man in the Corps; and all the scattered regiments immediately at hand were put in and checked a further advance, until General Hartranft (I’m not sure about the spelling of his name) brought up the 3d division, which had been camped in reserve. He personally led in one brigade of it, with conspicuous gallantry, retook the whole portion lost, and captured, at one swoop, 1800 Rebels. It was just the “Mine,” turned the other way: they got caught in there and could not get out. Their loss also in killed and wounded must have been severe, not only from musketry, but also from canister, which was thrown into a ravine by which they retreated. Upwards of a hundred Rebel dead lay in and round Fort Stedman alone. Our own losses in the 9th Corps will be somewhat over 800, half of whom may be reckoned prisoners, taken in the first surprise. I should guess the loss of their opponents as not less than 2600. 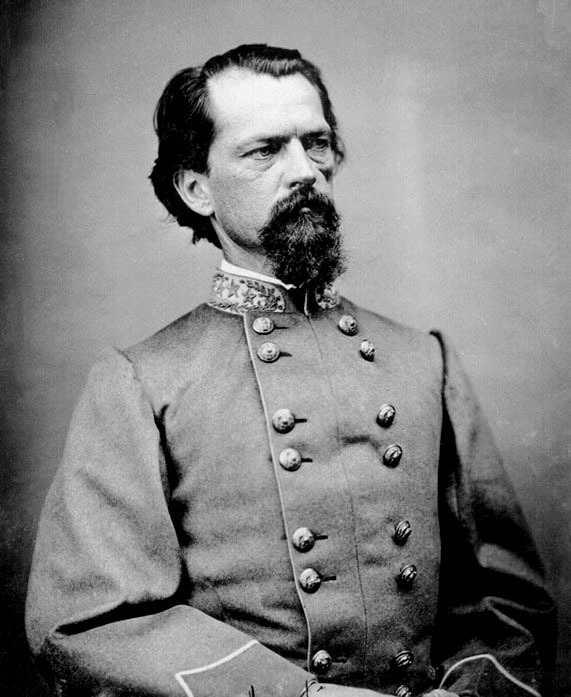 Union Ninth Corps Commander John G. Parke didn’t need any help to drive out the Confederate attackers who captured Fort Stedman. Our troops on either flank stood firm. Soon after a determined attack was made on Fort Haskell, held by part of McLaughlen’s brigade, Willcox’s division, and was repulsed with great loss to the enemy. The First Brigade, of Hartranft’s division, held in reserve, was brought up, and a check given to any farther advance. One or two attempts to retake the hill were made, and were only temporarily successful until the arrival of the Second Brigade, when a charge was made by that brigade, aided by the troops of the First Division on either flank, and the enemy were driven out of the fort with the loss of a number of prisoners, estimated at about 1,600; 2 battle-flags have also been brought in. The enemy also lost heavily in killed outside of our lines. The whole line was immediately reoccupied, and the guns retaken uninjured. Arrived here all safe about 9 p. m. yesterday. No war news. General Grant does not seem to know very much about Yeatman, but thinks very well of him so far as he does know. I like Mr. Whiting very much, and hence would wish him to remain or resign as best suits himself. Hearing this much from me, do as you think best in the matter. 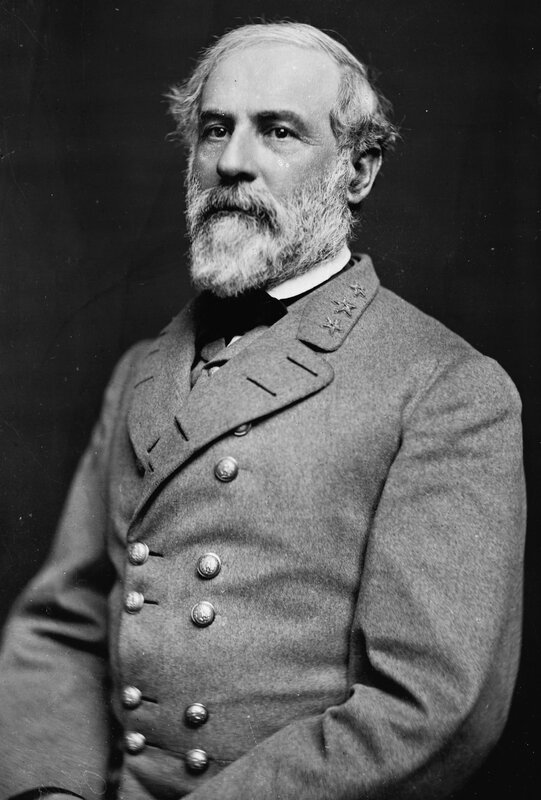 General Lee has sent the Russell letter back, concluding, as I understand from Grant, that their dignity does not admit of their receiving the document from us. Robert just now tells there was a little rumpus up the line this morning, ending about where it began. Your telegram and Parke’s report of the “scrimmage” this morning arre received. The rebel rooster looks a little worse, as he could not hold the fence. Thus ended a desperate gamble which was supposed to utilize half of the remaining infantry force of the Army of Northern Virginia. Mistakes were made on the Confederate side, mistakes they absolutely could not afford. First, if Pickett’s Division was going to be used, Gordon needed to wait a day until it could be gotten up to the jumping off point. Second, Gordon’s guides were all three lost in the early phases of the battle. Third, the three forts Gordon thought existed behind Fort Stedman were figments of his imagination, and precious time in the covering darkness was spent looking for them. All these mistakes aside, even if everything had gone according to plan, the existence of Hartranft’s new division and the artillery on the old Dimmock Line would have ensured the attack’s failure. Though the Confederate casualties and failure at the Battle of Fort Stedman itself was bad, what happened next was arguably worse for the Confederate cause. Ulysses S. Grant, chafing at the bit and always ready to take advantage of an enemy’s weakness, correctly surmised that Lee’s lines around Petersburg had been stripped almost bare to provide manpower for the attack on Stedman. On the Federal Second Corps and Sixth Corps fronts, successful probes were made in all-day skirmishing on March 25. The reinforced Union skirmish lines were able to take many advantageous positions very close to the main Confederate line. The Confederates were unable to drive them out as the sun fell. Just over a week later, the Sixth Corps would use their positions gained on March 25 to successfully penetrate the Confederate lines southwest of Petersburg and end the nine plus month long siege on April 2, 1865. For the best description of this skirmish line firing, including the Action at the Watkins House and the Action at Fort Fisher, see the Blue and Gray Magazine issue on the subject. I would have liked to have covered this fighting as well, but simply ran out of time to do so in a quality way. Robert E. Lee was forced to report the twin March 25, 1865 disasters of Fort Stedman and his losses on the picket line to Confederate President Jefferson Davis. If Gen Grant wishes to unite Sherman with him without a battle, the latter after crossing the Roanoke has only to take an easterly direction towards Sussex, while the former moving two days march towards Weldon, provided I moved out to intercept Sherman, would render it impossible for me to strike him without fighting both armies. I have thought it proper to make the above statement to your Excellency of the condition of affairs, knowing that you will do whatever may be in your power to give relief. The end was near, and Lee knew it. The plan for March 25 designed by Gordon had failed. In fact, it led to even bigger disasters on the skirmish line. Confederate hopes placed on this final assault were utterly dashed. Time was running out, and every Confederate knew it from Lee on down. The result calls for little comment upon the adventure. For an army of forty thousand veterans, without field batteries, to dislodge from their well-chosen and strongly fortified lines an army of ninety thousand well-armed and thoroughly-appointed veterans was impossible. Thus ended the March 25, 1865 Battle of Fort Stedman, along with the Crater and Five Forks forming a trifecta of well-remembered battles from the massive Siege of Petersburg. A last ditch, desperate gamble failed, as it had always been likely to do. We are nearing the very end. Fort Stedman disrupted Union plans so little that Grant’s Ninth Offensive, scheduled for March 29, 1865, would go on as directed. A furious finish awaits, starting just four days from now. Stay tuned and keep reading…and if you’re enjoying this content, please Like and Share on Facebook and retweet on Twitter.